This week the ECB produced alarming figures regarding the drop in the amount of people playing cricket at club level. Grass roots cricket is taking a hiding, so they say. 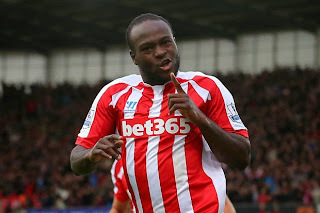 The amount of people donning the whites for their local club has gone down quicker than Victor Moses.We have been banging this drum on these pages ever since we started this blog, but now something surely has to be done about it? Sport in general has become all about money as opposed to pure competition, and it has to stop before the goose that has laid the golden egg, breathes no more. I am not here to say that I told you so, but regular readers of this page will know that we have been bemoaning this fact for a number of years. It has suddenly become newsworthy due to the figures produced but if you ask most of our readership, then we all knew a few years ago. The ECB are about as in touch with the cricketing public in the UK as Emily Thornberry is with the working class. Besides, the likes of White Van Man who flies a flag from his house really isn't the type of character they want involved in the game now, is it? Until cricket is shown on free to air tv, the figures will always be the same. The game has been sold off to Sky on television which only attracts the kids whose parents can afford it. The yoof don't grow up with the names any more, and they have lost the connection. My generation grew up on endless days of the summer game being on during the school holidays. It grew up on county cricket being on tv such as a Gillette/Nat West or a Benson and Hedges. And I am not talking about behind the bike sheds at school either. We knew all the names, they were ours. They belonged to the people, or so we thought. Even if they didn't, we believed that they were our lads. We loved the avuncular Ritchie, the sheen on Peter West's bonce, and the gravelly tones of John Arlott, like a latter day Sean Dyche. This was shown in the amount of kids that came out of inner city London back in the eighties and played county cricket. In my locality Keith Piper and Mark Alleyne came through the Haringey Cricket College, but then Graham Rose, Kevan James, Mike Gatting, John Emburey, Chris Lewis, Phil De Freitas and many more came through schools in London. Who has come through recently via this route? Ravi Bopara and Billy Godleman are the only ones who spring to mind in the last ten years. Whilst the initiatives of Chance to Shine and the like are great, counties could do a lot more with their players and links with schools, now that they are on twelve month contracts. People say football is the same and in some ways I can see similarities. Ask the supporters of Manchester United or Arsenal whether putting money before success, as I believe both of their clubs have done in recent years, has been good for their team? Sport has become more about money than it has about the game itself. We have situations in that game where finishing fourth in the league is more important than winning a competition such as the FA Cup. Sides are happy not to compete, but to come fourth. Success brings people into the game, and the numbers playing rugby after the 2003 World Cup was endemic of that. 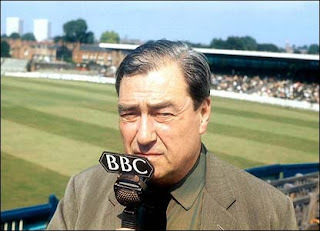 The difference between football and cricket though is that the Beeb show Match of the Day on a Saturday and Sunday night. Cricket has nothing, apart from test highlights on the least watched major channel. Anyone remember the feel good factor within the game after the last series on free to air television? Cast your mind back to the 2005 Ashes. Michael Vaughan wrote a piece in the Telegraph this morning about an FA Cup style competition in cricket to get interest in the game. We have to try something as it cannot continue to wither and die at club level. 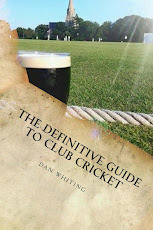 Whilst the ECB have made a number of mistakes, there are other factors that have come into play. Sunday opening hours of pubs, Sunday shopping hours, the amount of channels on television all give people far more choice in their entertainment, if you can call being dragged around Lakeside by the missus as entertainment. Therefore they have to compete even harder. The empty seats at Test venues over the last few years at the non London grounds tell a story, therefore the ticketing pricing also needs a radical rethink. Surely more people in the ground with cheaper prices, buying merchandise is better for the game? Surely grounds not charging a fiver a pint so that their parents are put off taking their lads (or lasses) needs a rethink too? Equipment prices going through the roof don't help either. A top of the range bat is now £500. 'Ow much? Does this help people to play the game? The manufacturers also have a responsibility to cricket. More important than the game? The money from Sky has been great for the county game, don't get me wrong. However, we MUST get cricket back on the box. Offer a channel a deal for county cricket and show the fifty over competition. Give the game back to the public, and you will increase interest. The short termism of Sky's money could well kill the sport for future generations. The link between interest in the sport and playing the game is huge. If Giles Clarke and Co have the attitude of 'let us eat cake' there might not be that many people at grass roots level to have a slice in the tea interval. Mark, thanks for your valid points. I have played in the Herts League for twenty five years. I think all day cricket removes the guys who are early 30's with families. Therefore how can that make it stronger? Some great points and thank you for your response.